There is a lot of debate on whether or not The Great Gatsby is worth the read. 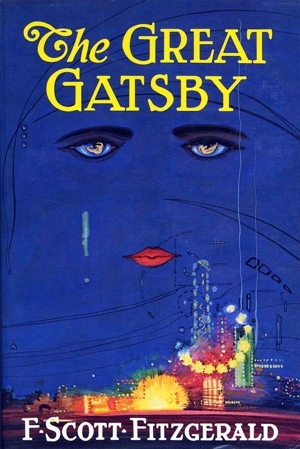 The Great Gatsby; a book commonly heard of book that was recently made into a movie in 2013. The movie was a big hit, receiving 7.3 stars out of 10… but what about the book? The author of The Great Gatsby, F. Scott Fitzgerald, was born on September 24, 1896. Throughout his lifetime, four of his books were published; The Great Gatsby, This Side of Paradise, The Beautiful and Damned, and Tender Is the Night. Aside from the four books, Fitzgerald also collected four short stories and 164 short stories published in magazines. It was published by Simon and Schuster in New York, April of 1925. Due to it being written during the “Roaring Twenties”, it is the perfect example of how most Americans were living, which was needlessly extravagant. The Great Gatsby, is all about the death of the American Dream, the death of morality in society. And this book, was a waste of time to read. In many high school english classes, this book is read and the topic of discussion is based on the point of the story. Fitzgerald’s goal was to help the reader understand how he believed that morality was declining and the American Dream no longer exists. This book takes place in 1920s New York where the main Character, Nick Carraway, moves next the Jay Gatsby, a seemingly wealthy man. Throughout the book, we find that Gatsby is in love with Nick’s cousin and Nick is sort of forced into bringing them together. This book was very lengthy and often babbled on about things that were not important to the actual story line. It had too many symbols and many of the characters were unrealistic. After watching a documentary about the author, I was able to pick out bits and pieces from his own life that he stuck into the book. The love interest, Daisy, is quite similar to one of Fitzgerald’s ex girlfriends. Besides the book being an long and unrealistic, it is also American Classic. Since it has been around since the 1920s, it’s given people a lot of time to read and discuss it. The message that was being made was clear but it was far too dramatic and used too much symbolism.